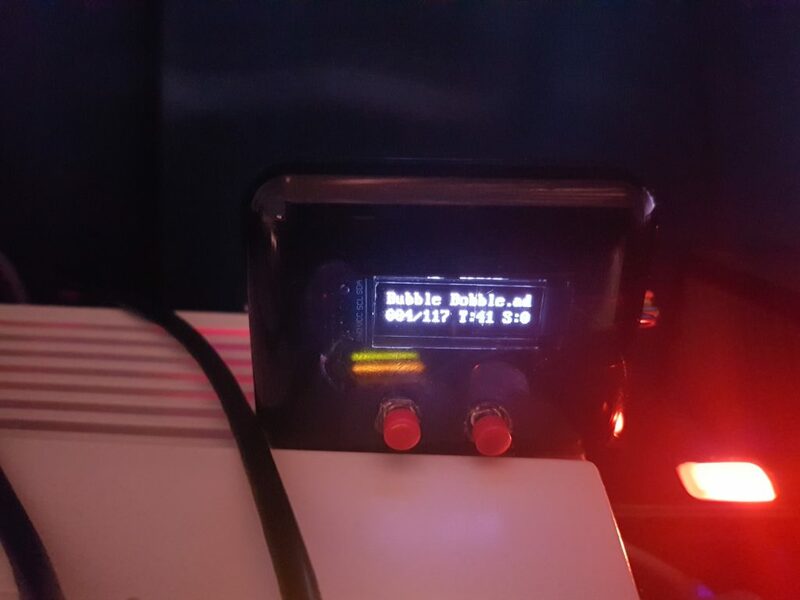 I’ve recently replaced my Gotek which I described in previous posts (http://www.karios.gr/?p=1029 and http://www.karios.gr/?p=1003) with a Micro Gotek (found here: https://www.sellmyretro.com/offer/details/32413). 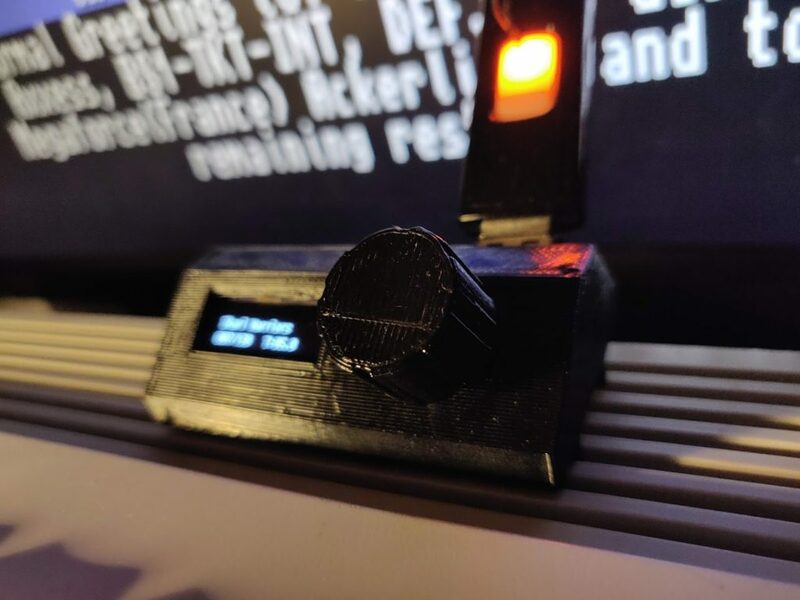 As a reminder, the Gotek and Micro Gotek are floppy emulators that replae the old-school floppy driver on the Amiga and can read and write on virtual floppies stored on USB sticks (called adf files). The main difference between the two is the size that takes inside the case and convenience with the cabling. 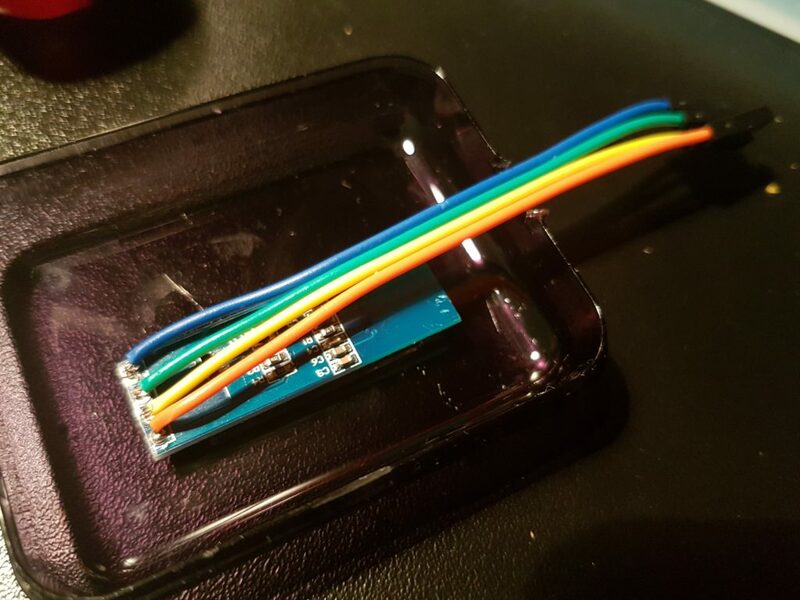 In the old Gotek, I needed to solder wires on the switches for example while the Micro has everything on normal headers, for buttons or a rotary encoder. I chose the latter, which is much more convenient for scrolling through lots of ADFs while still using the encoder as a button to load or eject virtual discs. 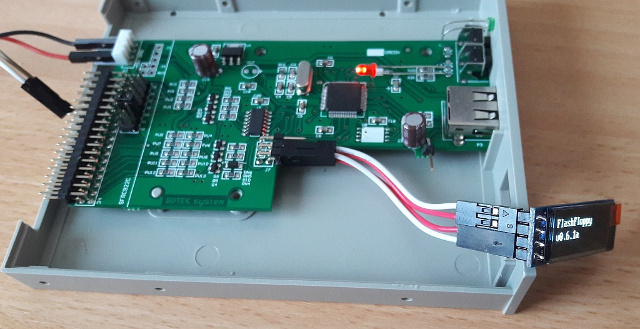 Another big difference is that you can connect the USB outside of the case, which is very convenient if you want to change USB sticks often. 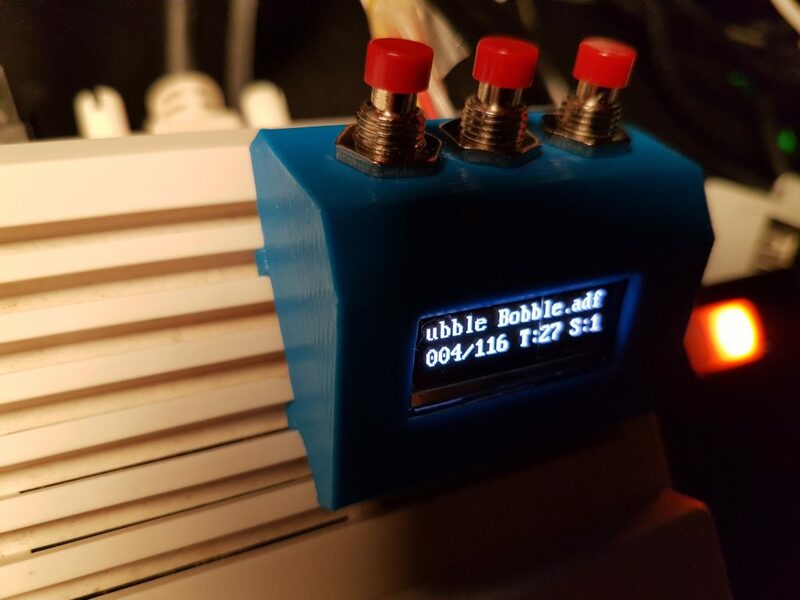 This is a work in progress and I do already regret putting the USB and encoder on the same place, which I plan to change in later versions. If you push them enough though, they will fit. 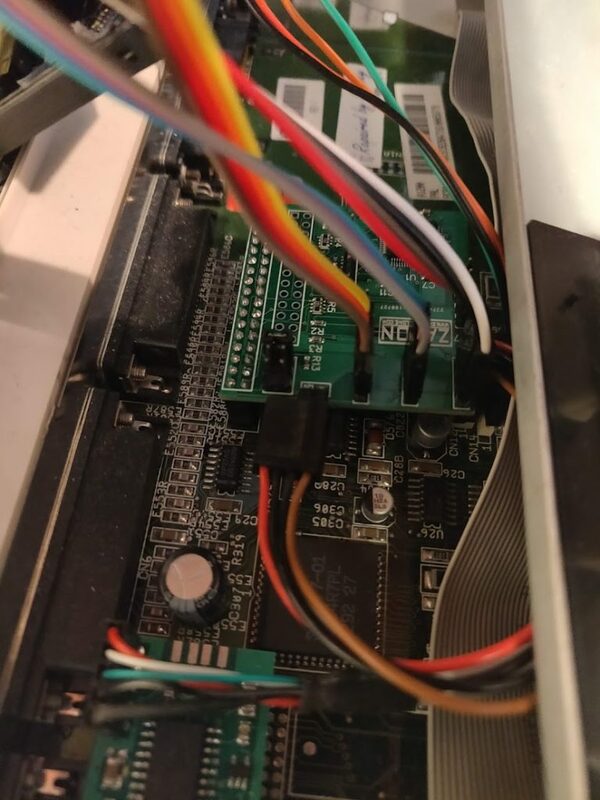 Having the Micro Gotek directly on the floppy connector on the motherboard also leaves few choices for getting the cable outside of the case of the A1200. One would be through the ventilation grills and another from the back side (e.g. 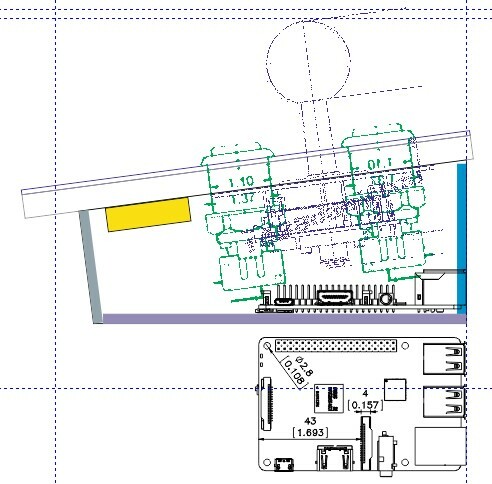 the expansion port), using cable extensions. 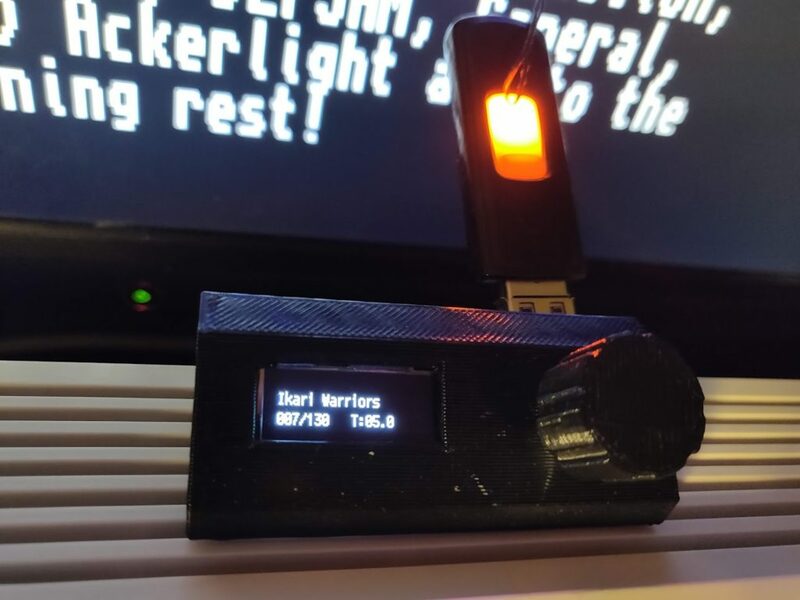 The Micro Gotek uses the same FlashFloppy firmware which I used for my original Gotek and it updates just fine (I have it updated to version 1.0, which is the latest at the time of this writing, with no problems). 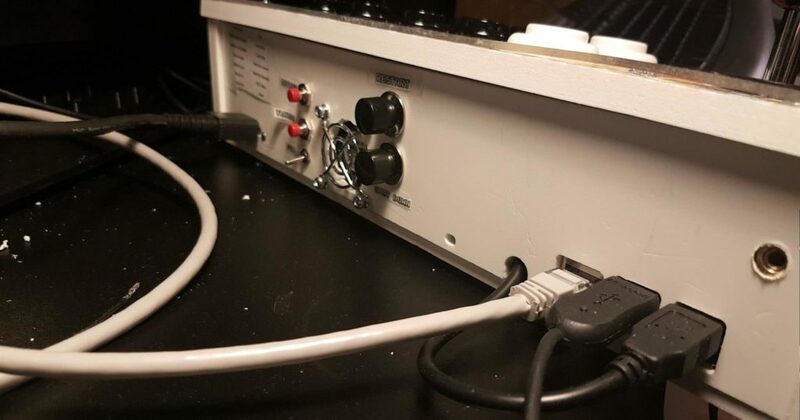 It also works great. 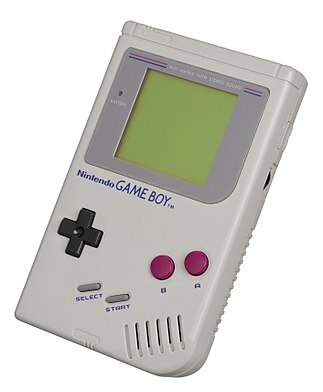 First was the original GameBoy which took the world by storm by being an awesome way to play video games on the go, with the important feature of actually being able to play different games on the same portable console, a new thing at the time. Technical wise, it was not anything spectacular to speak of, it featured a few grey (well, more like puke-green) colors on the screen, which was not even lit, so no playing in the dark for you (at least without any of the numerous silly light-and-magnifying glass after market add-ons). 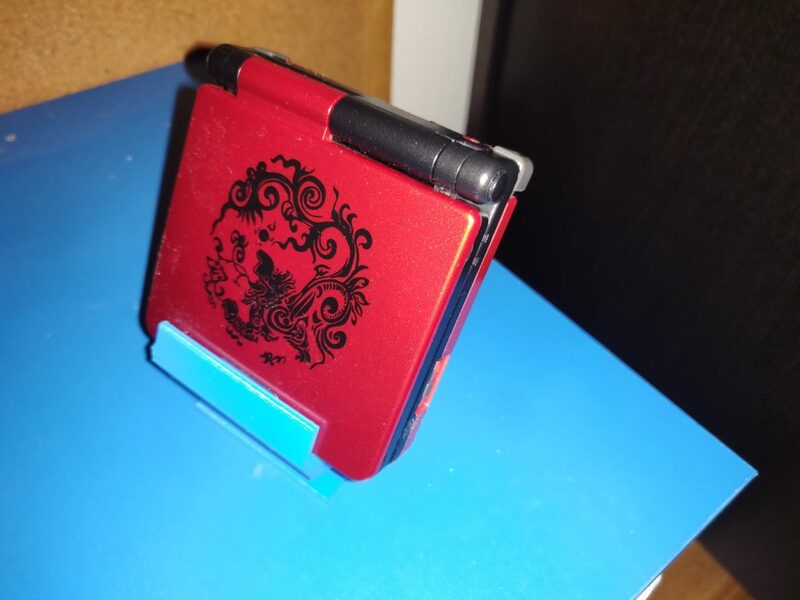 But it was more than good enough, there were some awesome games on it and the 4 AA batteries last for a long time. 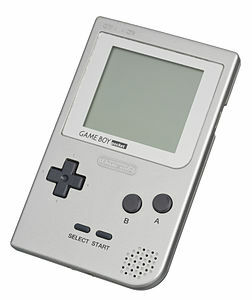 Then we had the GameBoy Pocket, which was the same thing but smaller and only took 2 AA batteries. Other than that, it was the same machine. 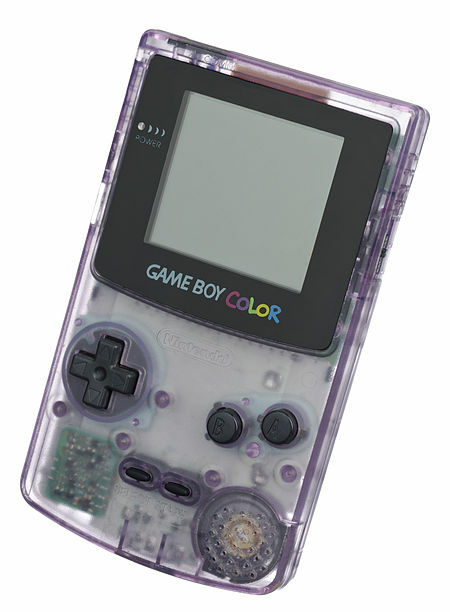 Then we had the GameBoy Color. This could play all the original GameBoy games with the option to turn their grey palettes to a color palette with the same number of colors but at least there are colors. There were also games built specifically for it with better colors. But other than that, the screen remained non-lit and the quality of the games was more or less the same as the original. 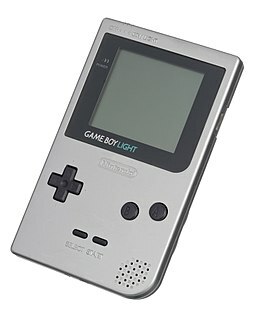 Here I should mention that in Japan only there was a special version with a lit screen, called the GameBoy Light which was essentially the Pocket with a front lit screen. This never came out anywhere else. 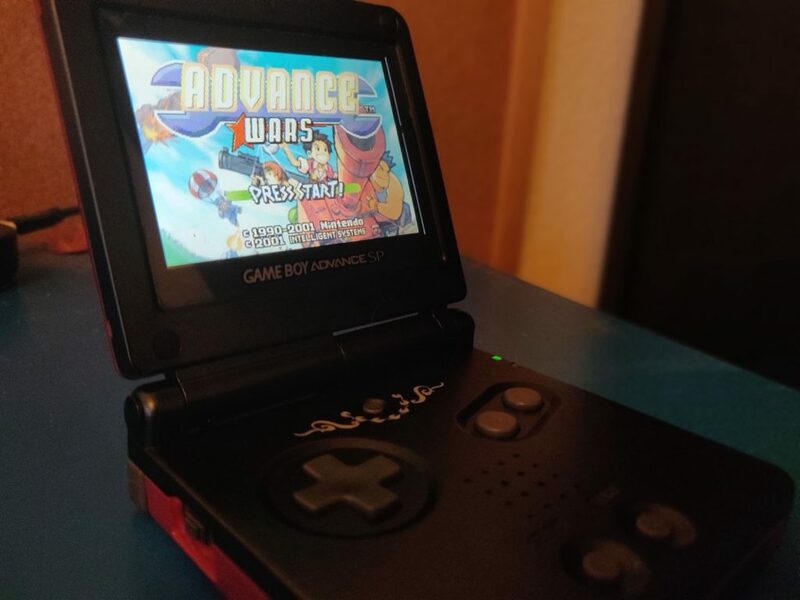 But then we had the GameBoy Advance. Now this was the real deal. 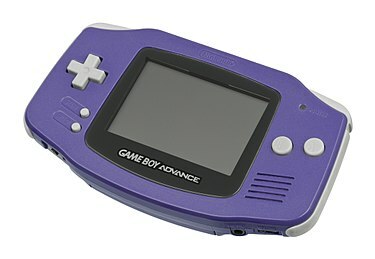 The GBA was more or less on-par with the Super Nintendo, power wise and it fit in your pocket. The future was there! It was also backward compatible with original and color GameBoy games, so at launch its software library was already huge. 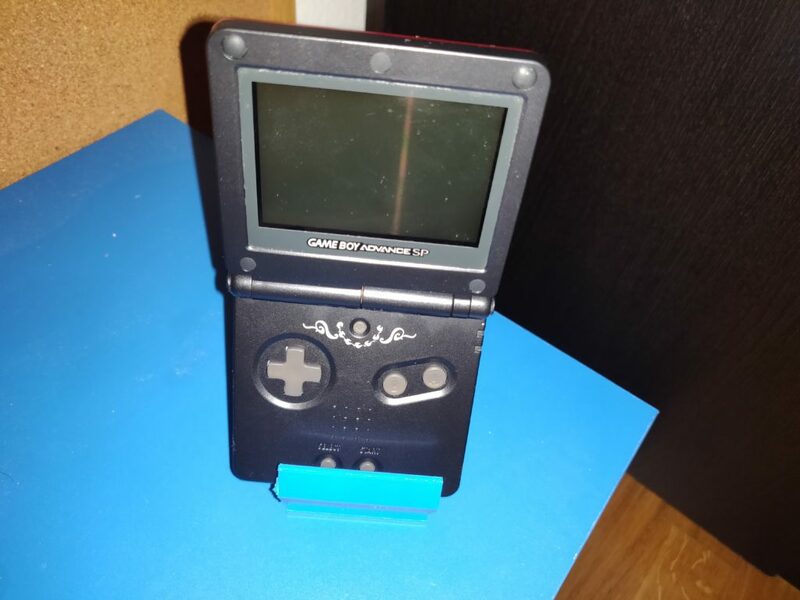 The original GameBoy Advance featured the controls on the sides of the color (but STILL not lit) screen and took 2 AA batteries for power. 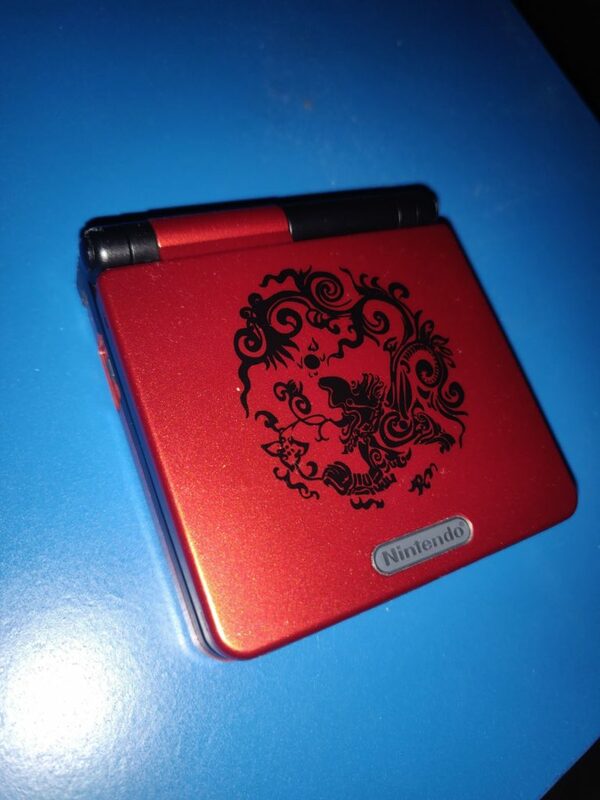 The next version was the GameBoy Advance SP. Hardware wise it was a GameBoy Advance, so all of the same games played fine (including original GB and GBC games), but it now featured a much more pocket-able clam shell design. And the screen was lit for the first time! There were two versions of the SP though, the original SP model 001 featured a rather unimpressive front lit screen that looks, well, not so good, but you could play in the dark for the first time and that was important. But the second version was the real deal. Model 101 featured a very bright and beautiful backlit which is on-par with the ones found on the DS which came after that. 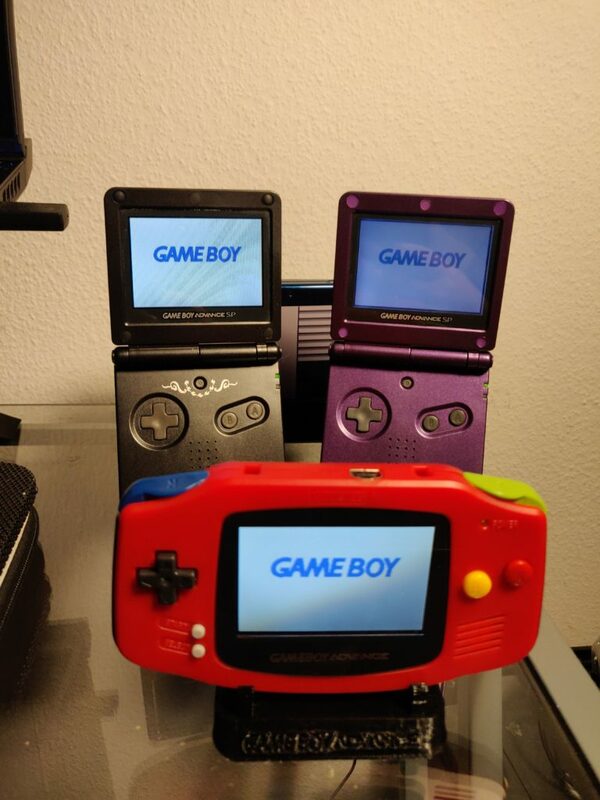 These are quite rare and expensive to find nowadays, but in my opinion they are the best GameBoys ever made, since they are backward compatible with ALL GameBoy games ever made (GB, GBC, GBA), they have an awesome small foot print clam shell design and they feature the best screen. 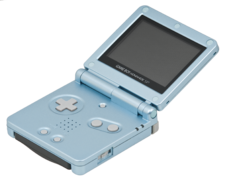 The last GameBoy SP released was the SP Micro, which was a super tiny version of the SP and played only GBA games. These are very nice, feature a smaller backlit display but they are a feature less than the SP 101. 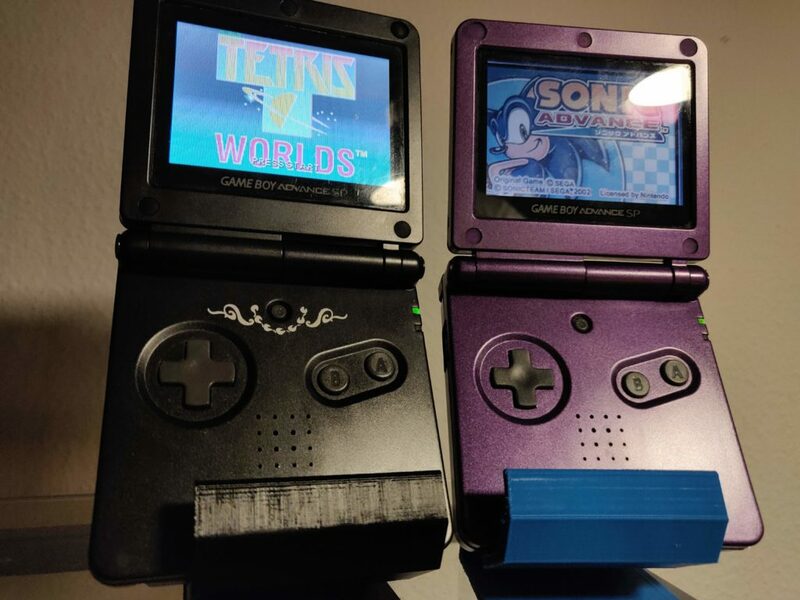 So, since I never had a GBA, I decided to go hunting for the perfect GameBoy. Finding a 101 was not too hard, the price was a bit high though and, since it’s now more than 15 years since it was released, there are always some problems with them. 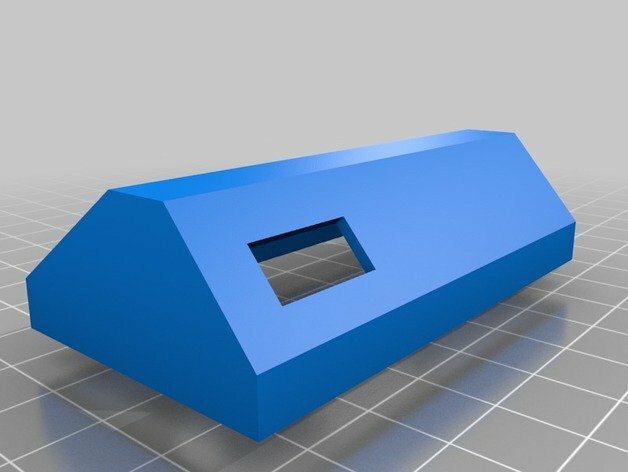 The most common problem is of course, the state of the plastic chassis of the device. These games were meant to be carried around and played, so scratches and filth was everywhere. 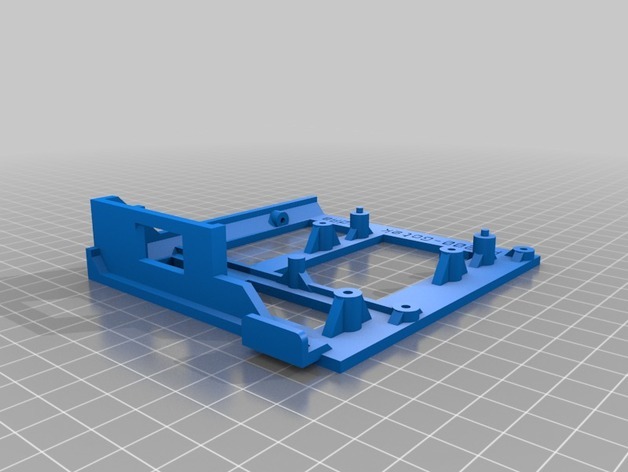 Repairing and cleaning was out of the question but thankfully, you can buy a replacement beautiful brand new plastic chassis for less than $10 online, which is exactly what I did. 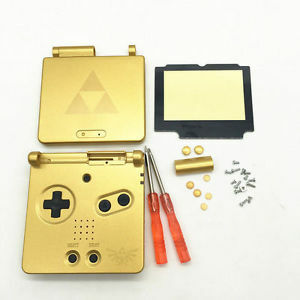 The second most common problem is the shoulder buttons, which wear out and stop working after a while. On the device I received, both shoulder buttons were not working at all, or worked when they felt like it. 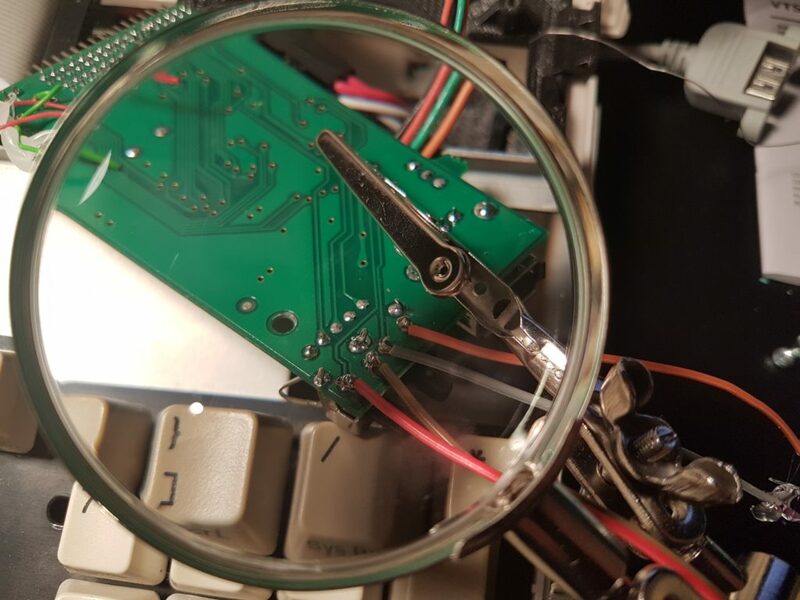 Here, I had to open the device and desolder them, order new ones online and replace them and boy did this make a difference. 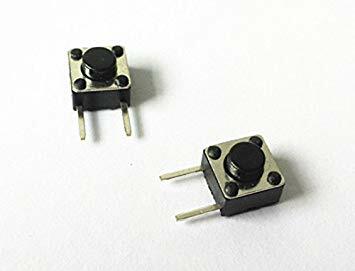 The new shoulder micro switches work perfectly and they also have a very satisfying clicky feel to them, not present in the originals. Lastly, the battery needed to be replaced, just so it can last for a good few hours more of gameplay. You can also get them brand new online very cheaply. So there you have it, I am now a happy owner the of the perfect GameBoy! Another one, this time a 001 model, is saved and added to the collection. 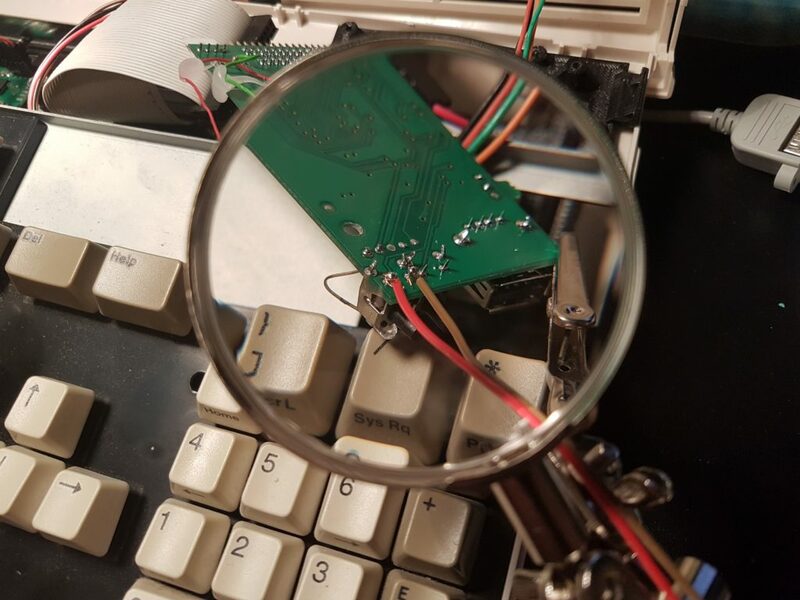 New shell, new shoulder button microswitches, like new! 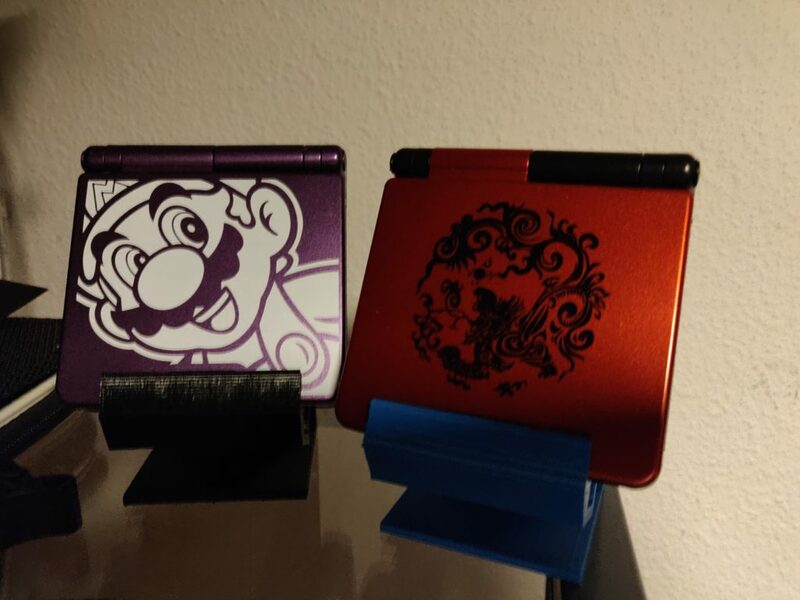 Another GameBoy Advance joins the collection. 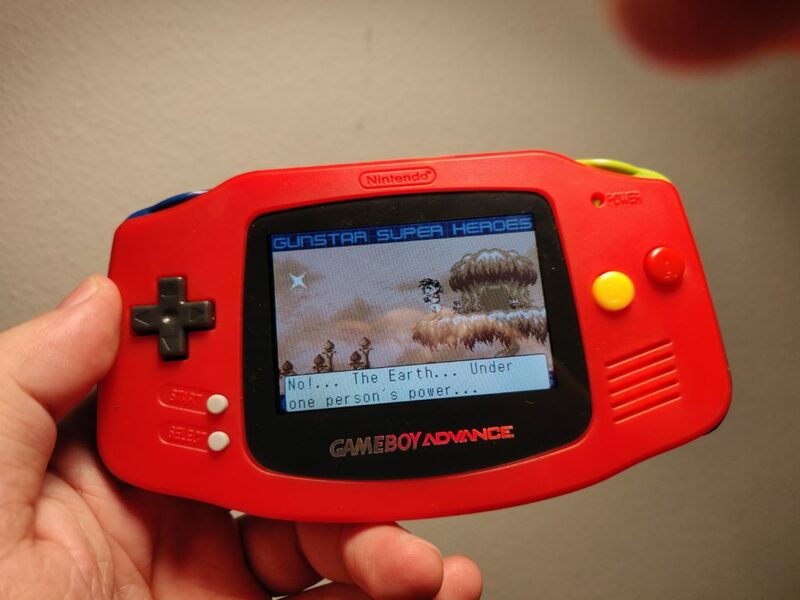 This time it’s not an SP but a regular GBA, but with a brand new plastic hell, screen crystal and backlit screen modded. 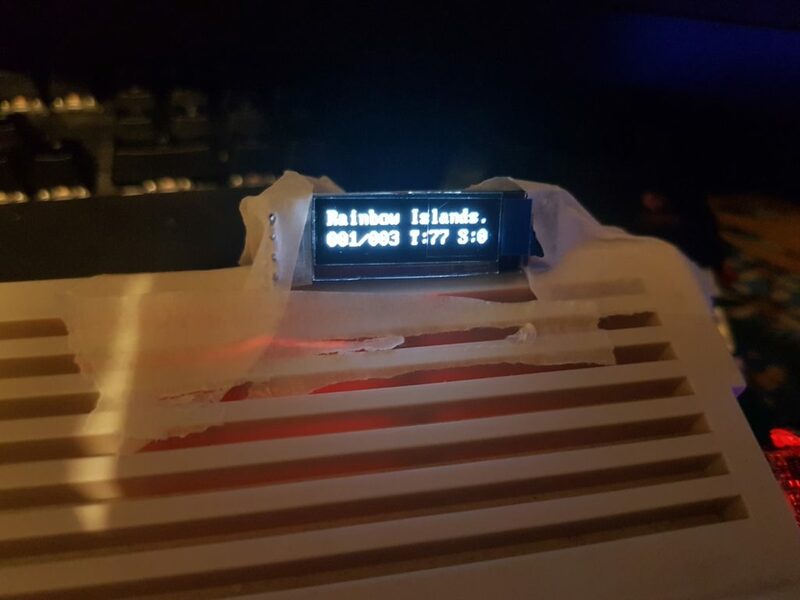 This was a relatively easy mod, there are lots of tutorials on how to change the original non-lit screen to an after market backlit one (e.g. 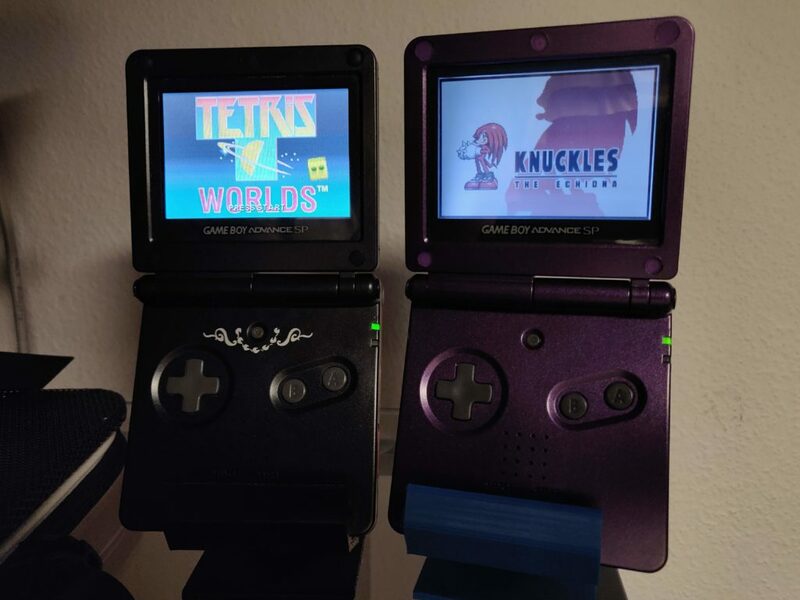 https://www.instructables.com/id/Gameboy-Advance-Backlight-LCD-Screen/). My GBA collection so far. 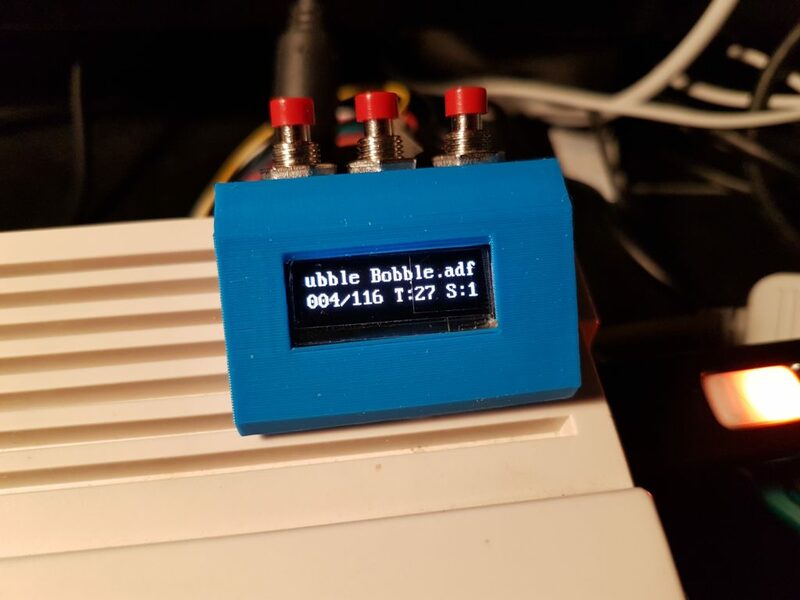 This nice thingy looks like a real mess inside the box, but it gives you a USB controller which I connect from the outside of the box to the Pi, using one of the 4 USB ports available. This was by design for 2 reasons. 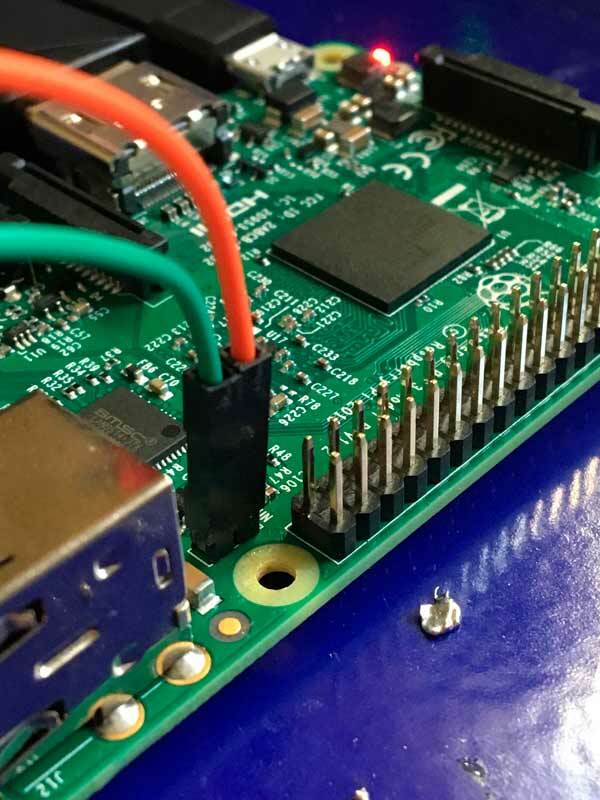 First of all, at any time, I can disconnect the USB from the Pi and connect it to any PC or laptop and use the controller there. 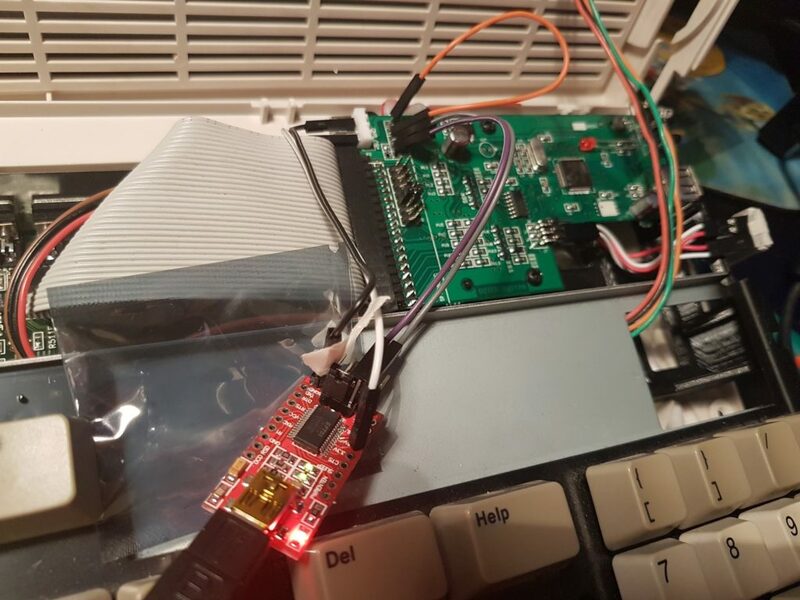 Also, I am planning on creating a second identical small system, without the Pi, to use as a player 2 controller which I will just connect to the same Pi and play with friends. 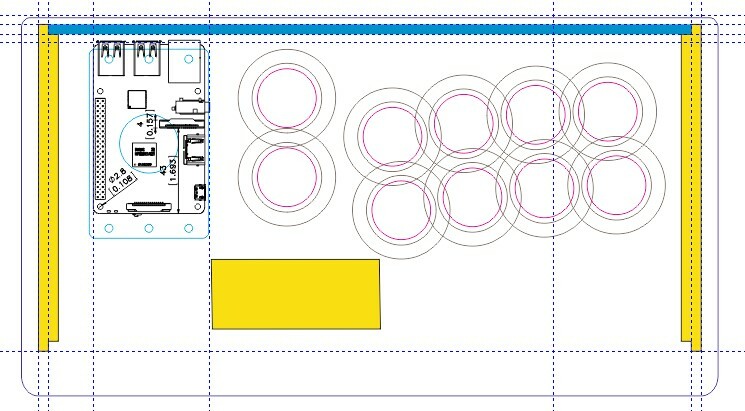 I configured the 8 fire buttons as A,B,X,Y,LT,RT,LS,RS and the 1P and 2P buttons as Start and Select. These map nicely to all systems if they don’t require any analog controls. 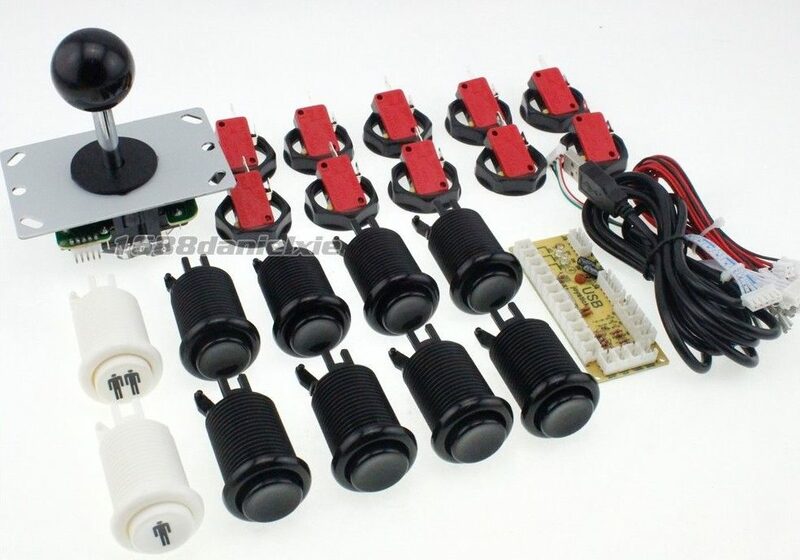 For these, I can still connect USB controllers (like the excellent 8BIT N30 Pro which works as USB or bluetooth if I want to) for other systems or for more authentic gameplay depending on the system. From left to right as we see it, we have an HDMI output (put there with a small internal extension from the Pi), the turbo and normal fire modes (mentioned above), an exhaust fan with a fan switch (more on that later), a restart and a shut down buttons (more on that later), a small hole for status leds (more on that later), the exit hole for the USB joystick and for the power cable (the standard 2.5A RPi supply), the standard Pi ethernet and 4 USB ports and a 3.5 audio jack for headphones (also connected to the Pi with a small internal extension). 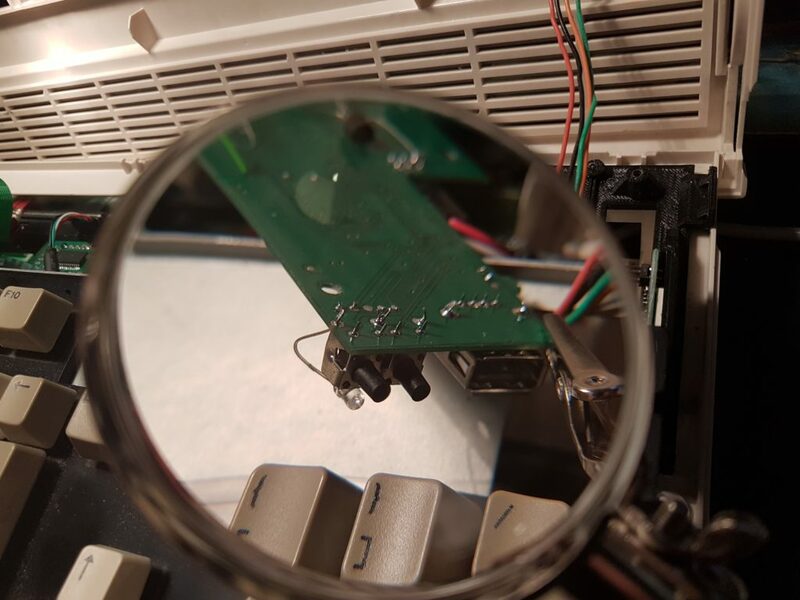 but let me tell you, with emulation I had huge problems with overheating, even with an NES running. Maybe it’s the enclosed casing, maybe it was the bad heat sinks, whatever the reason, I had issues. 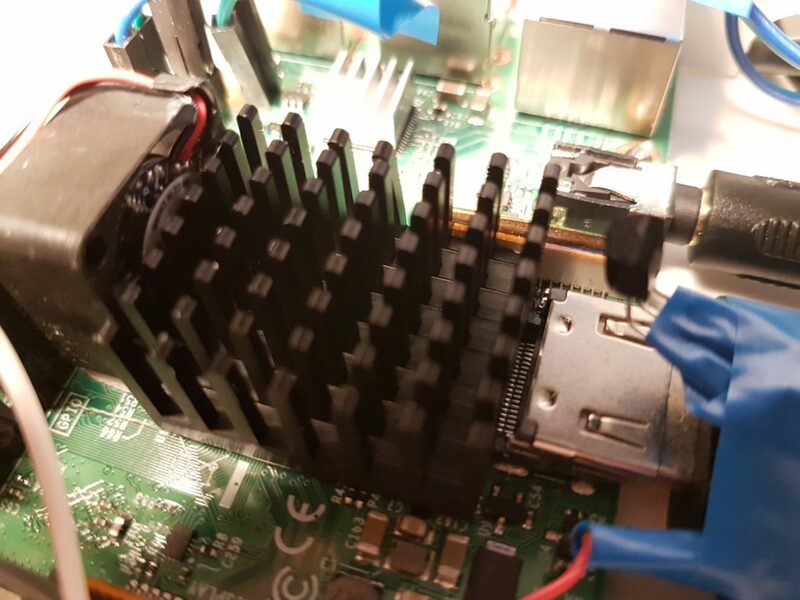 I looked it up a little bit and I found a guy on YouTube who did all sorts of test with different heat sinks, with and without fans. 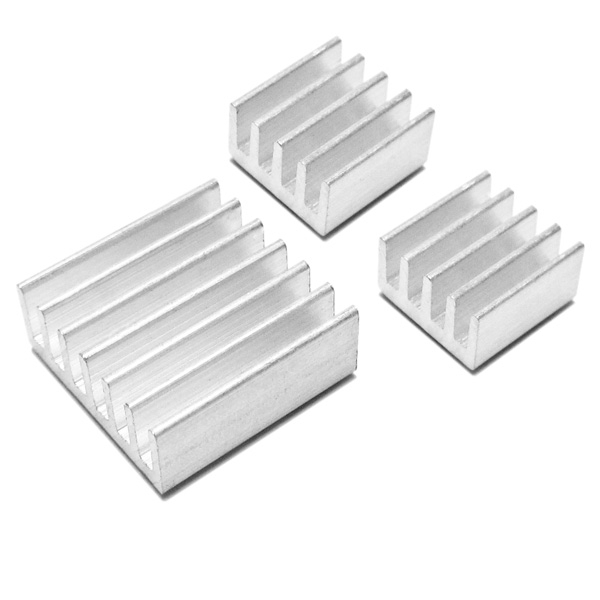 Bottom line, fans and a much bigger heatsink with good thermal paste is the best solution. 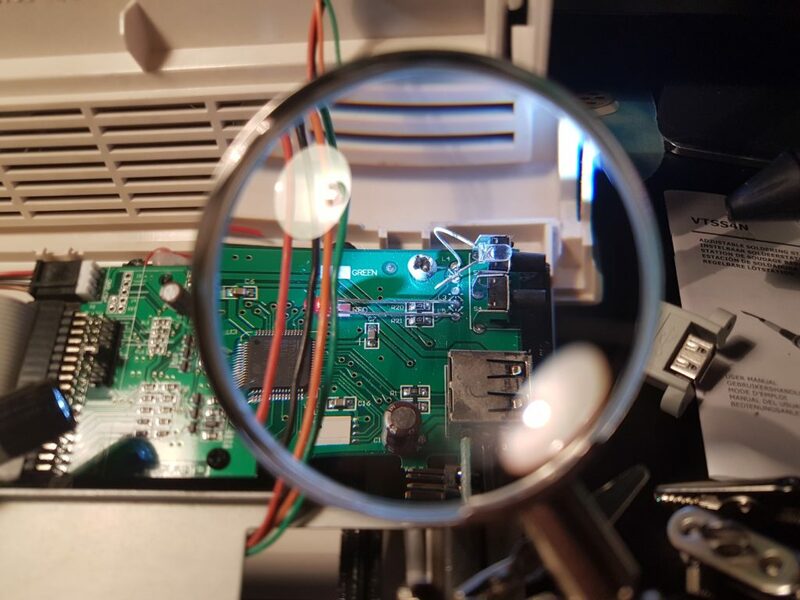 This will pass 5V to the fan if the temperature gets higher than 45 degrees C and cut the power when it’s less than 40 degrees C (checked every 5 seconds). 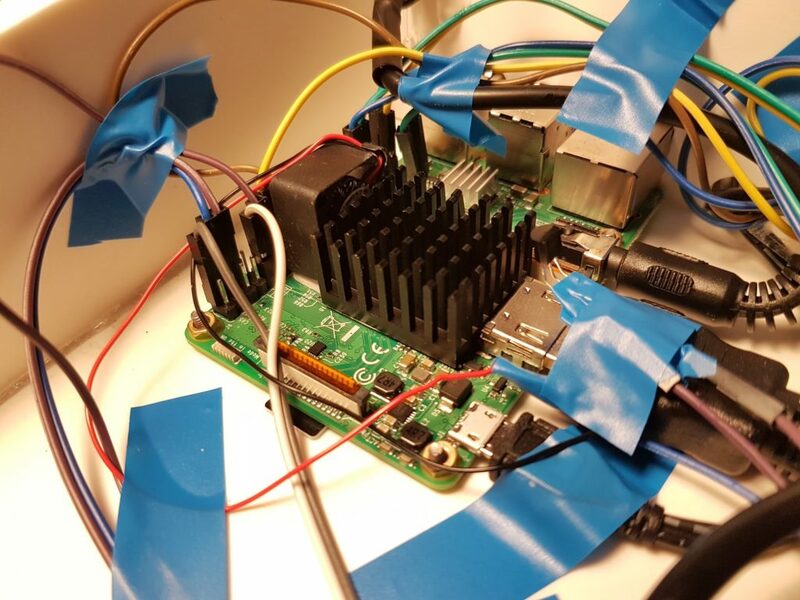 Since this is an enclosed space, I figured that extensive gameplay sessions could result in the heat getting trapped inside the case, so just in case (pun intended) I also added a manual exhaust fan with a simple switch to turn on and off manually if needed. 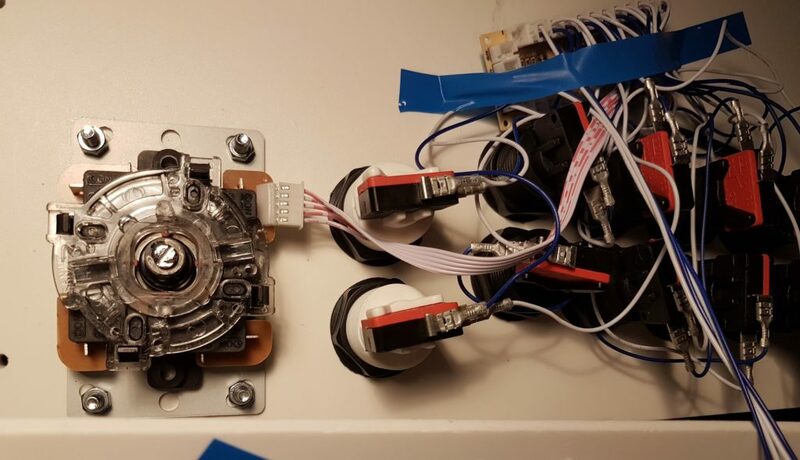 This is the fan you see on the back picture with the grill. Since this is also noisier than the small one, I avoid unnecessary noise. 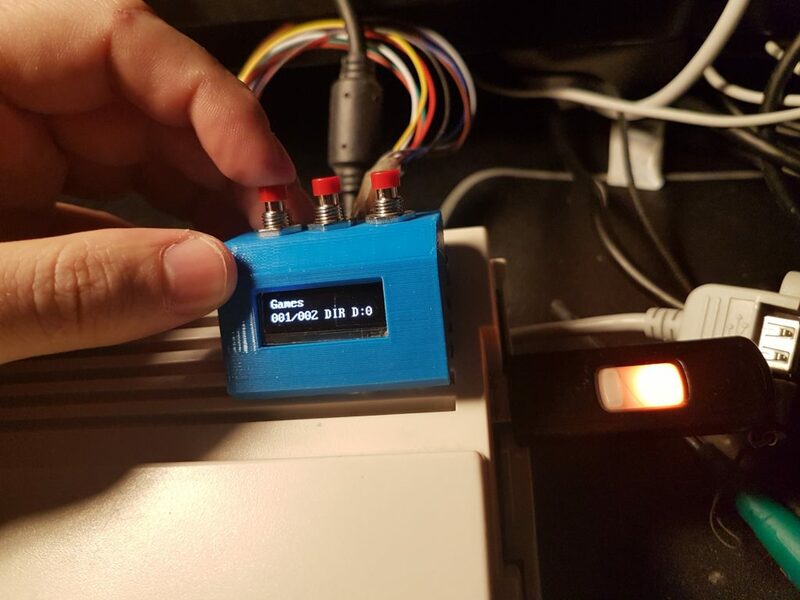 I was also able to slightly overclock the Pi using this system to allow it to play Playstation 1 and N64 games smoother. 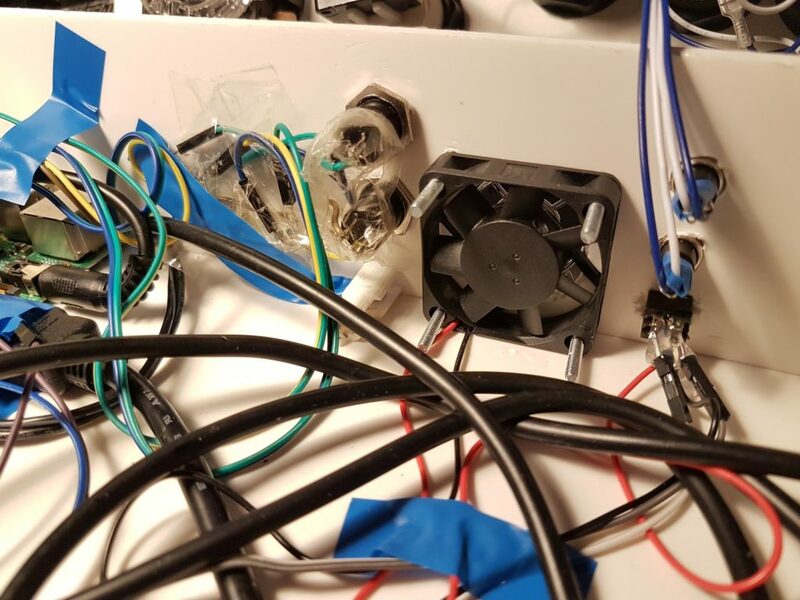 I also positioned the transistor inside the airflow of the fan, to avoid it overheating. 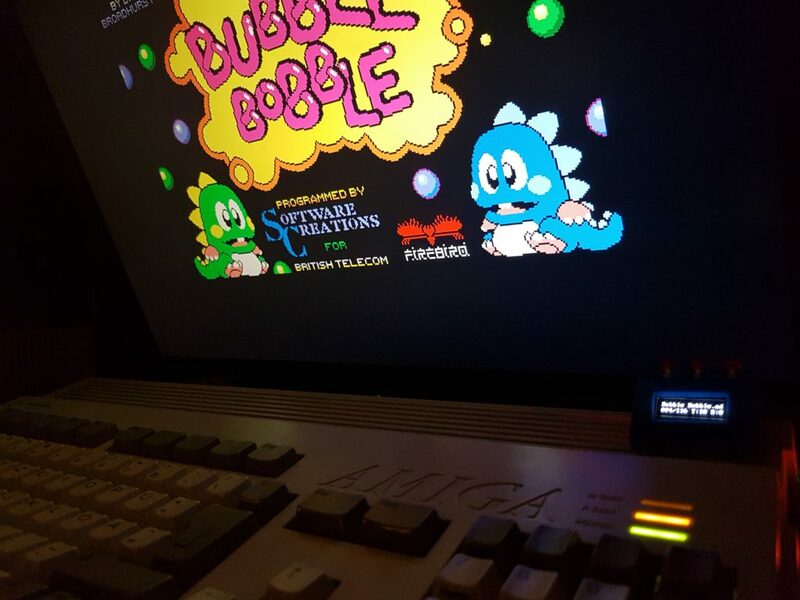 I finally configured the controls on Emulationstation, updated everything over ethernet and started playing. 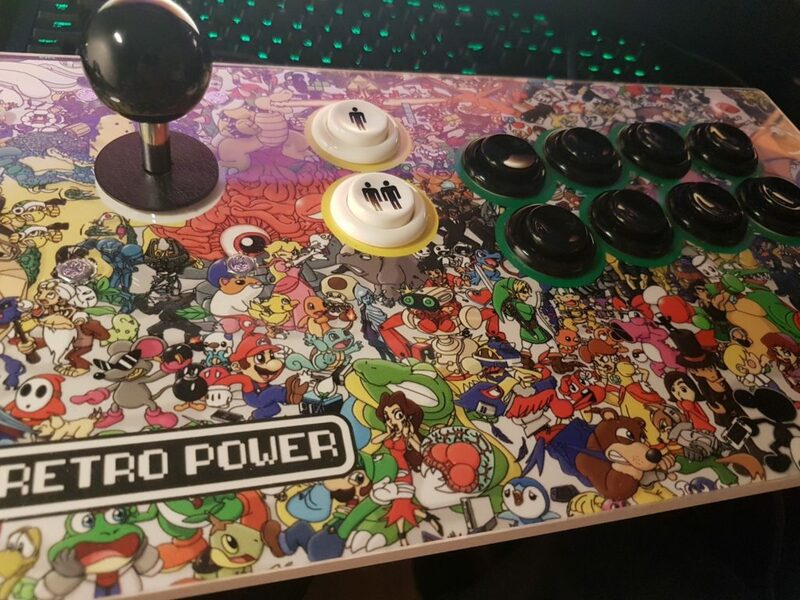 It works great AND it looks great now. I think this project is complete!